From the beginning of the 19th century, the Gdansk Shipyard was a source of regional socio-economic power and the largest employer for the local community. Post-war Gdansk became a place of resistance against the Communist regime that led by shipyard workers. In 1980, the Solidarity movement led by Lech Walesa was established in the Gdansk Shipyard as the first independent trade union in the then Soviet Block, commencing the so-called Solidarity Revolution and subsequent systemic changes across Central European countries. In June 2004, the historical boards with 21 postulates of the protesting shipyard’s workers were added to the UNESCO World Heritage List. 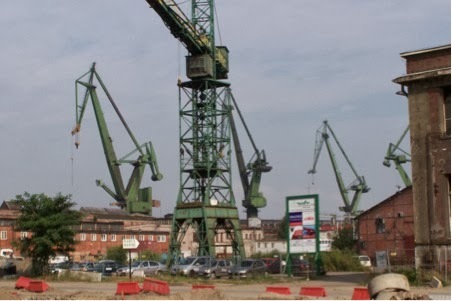 In 1995 the Gdansk Shipyard went bankrupt and in 2004 a new land-use plan has been approved which formally initiated urban regeneration of this post-industrial area. 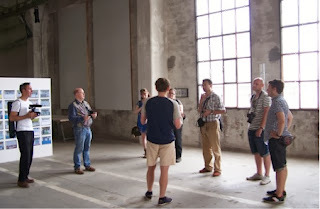 Several artists-activists’ groups have become engaged with researching the unique local specificity of the Gdansk Shipyard and indicating the need for its protection. Artist-run groups in the Gdansk Shipyard have succeeded in radically changing public perception of its heritage values. UWS MA Creative Media Practice students will discuss experiences of Gdansk shipyard regeneration through working with local students and activists seeking possible solutions aimed to increase the levels of public engagement. In the second half of the session, links back to Scotland will be made through exposure of Govan regeneration experience with a focus on cultural planning and art-led activism presented by Fablevision and SURF,and followed by discussion. A video documentary about the summer school will be shown at the event. The international summer school August 2013 commenced pedagogic and research based collaboration for staff and students of UWS CCI and ASP Art Academy Gdansk. 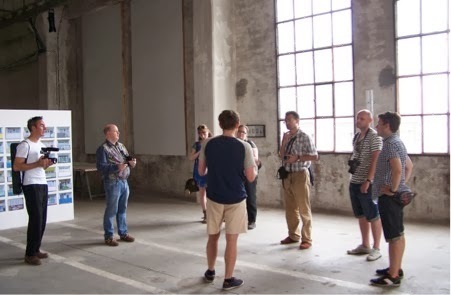 The main goal of the Summer School was to work collaboratively on projects initiating a social radical planning process for regeneration of the Gdansk shipyard area and aid in creating a new, alternative vision and development for the Gdansk Shipyard’s cultural heritage. 3.45-3.55 Gdansk Shipyard experience: Extending the context back to Govan. How to engage the public? How to improve regeneration through participative strategies with use of new communication technologies?